Now 2 players can be challenged by this classic, exhilarating puzzle! 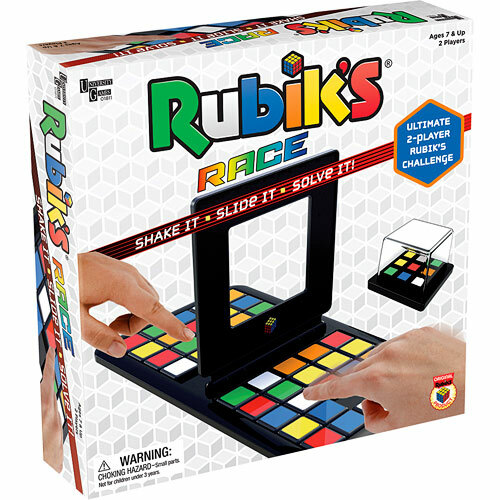 A shake of the scrambler creates a pattern, and both players race – brain to brain – to shift and slide – face to face, being the first to match it. For 2 players, ages 7-12 yrs, from University Games.